I knew there would come a time when my blog posts took a turn for the worst. Unfortunately, that time is now and the topic - halitosis. I've been going to my dentists quite a lot recently as my back teeth are only partially erupted which has resulted in a ton of cavities and unfortunately less than perfect breath. Because of this and due to other health conditions, my mouth bleeds and in the morning my breath is disgusting due to the old blood smell. I don't drink and I don't smoke but I do drink coffee, a lot of coffee which doesn't help. Add in the daily medications and let's just say the whole thing was getting me down. Being mummy to a four-year-old is always going to result in the truth being told, whether I was ready for it or not. I had been growing very self-conscious and took to covering my mouth whenever I spoke to anyone which is embarrassing in itself. I have literally tried everything from brushing twice to three times a day, flossing, tongue scraping, spritzing breath sprays, eating mints and chewing gum, changing my diet, purchasing an electric toothbrush and also using mouthwash. CB12 aims to neutralise the substances (sulphur) that have to lead to your pongy breath for around 12 hours. You use it in the same way you would a normal mouthwash, of course, brushing your teeth before use. When you take the cap off it's marked with a line where you should fill it to, you simply swish it around your mouth for around 30+ seconds and then spit. There are two flavours the blue one on the left is the minty fresh version which is still less harsh tasting than many of the high street brands, the green version on the right is my favourite. It's a mild minty fresh flavour and is especially great if you can't stand strong tastes. Neither taste like alcohol which was a major downfall of many average mouthwash. On day two of using this product, I went back to my dentist to get another filling. I told him that I'd started using it and asked if he had any further suggestions (because I was still insecure about my breath) he said that he could tell it had made a vast improvement because he couldn't smell anything untoward, he was literally in my mouth as he said it! A very good alternative to this is The Breath Co Fresh Breath Oral Rinse . This product is a bit more expensive than other brands but it has worked for me over the years and has, along with good dental hygiene, prompted my dentist to tell me "What's your secret? 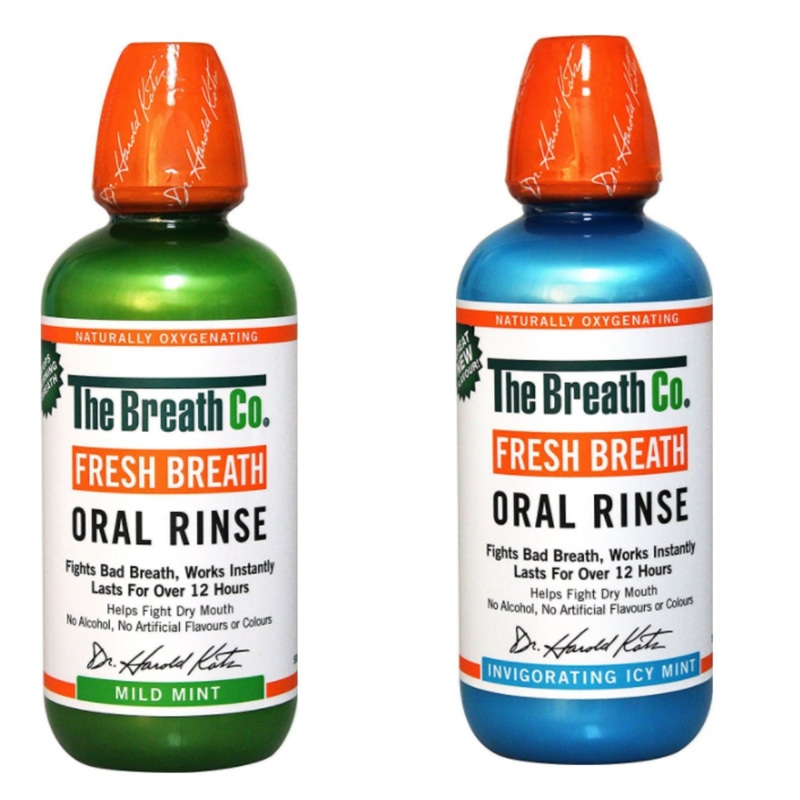 You are going to put me out of a job because your teeth are spotless"
I've used the blue bottle (Fresh Breath Icy Mint ) and the green one (Fresh Breath Mild Mint ) and find the Icy mint one is better. However, if you hate minty tastes the green one might be for you. I'd advise against using any mouthwashes that have a high percentage of alcohol as it is a drying agent, and dry mouth means worse breath. I carry these babies everywhere and have some stashed in my bag, pockets and my purse. Desperate I know but the reality is I am desperate. Dentek Triple Clean Floss Picks are so easy to use to floss because the string is pre-strung on the plastic picks. The floss also surprisingly tastes nice and minty I whip one out (secretly of course) after eating or if I feel a bit grimy, most cavities start in between the teeth and to be fair I wasn't am not taking chances. 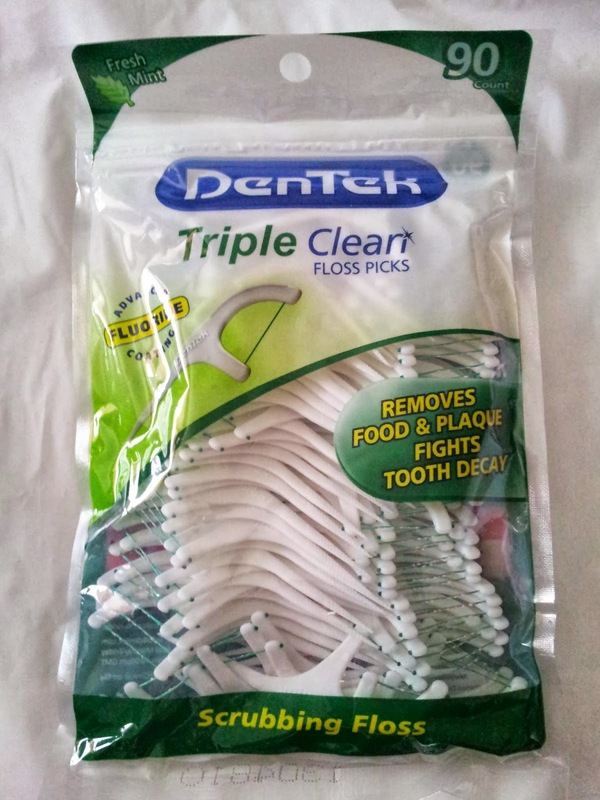 These have a fine floss on one end which I've found to be easier to fit in between tight teeth and the other end there is a pick. So useful but normally overlooked. Foods & Drink - Eating strong foods such as garlic, cheese and onions as well as drinking coffee or alcohol can lead to some pong-tastic breath. Bad Oral Hygiene - If you don't brush your teeth and gums correctly or regularly you simply can't expect your breath to smell fresh can you. Make sure you get right into the backs of your teeth and if you can (I recommend) either purchasing a toothbrush with a scraper on the back or a separate tongue scraper. Bacteria builds up on the tongue which then goes off leaving you with a stinky sulphuric scent that's a mega turn-off. Smoking - No brainer, if you smoke your breath is going to smell of stale cigarettes unless you clean-clean-clean. Dieting - Low carb diets lead to ketone production which makes your breath honk - think diets such as Atkins. Medical Conditions - Certain conditions and conditions that lead to dry mouths can and will make your breath smell bad. I'd recommend drinking more water. 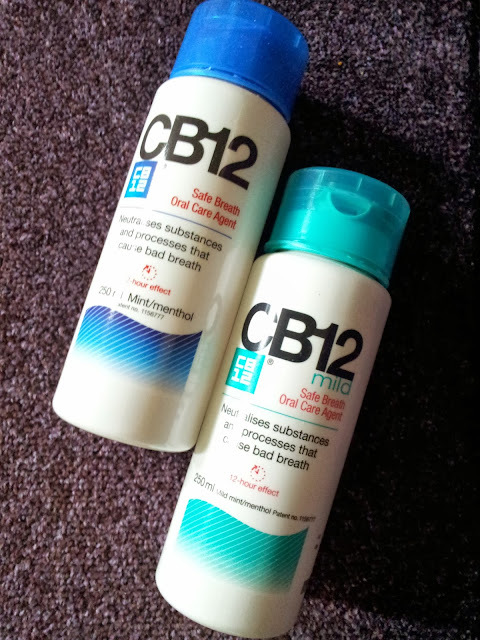 CB12 can be purchased from Amazon and the Dentek floss comes in a variety of pack sizes, such as the 90 pack like I have, but you can find them at Boots or in ASDA also.